Is Your Vein Physician Certified In Ultrasonography? Physicians in a number of specialties like dermatology and plastic surgery now offer treatment for vein disease, but a startling number of patients who receive vein treatment from someone other than a vein specialist end up with the wrong treatment. 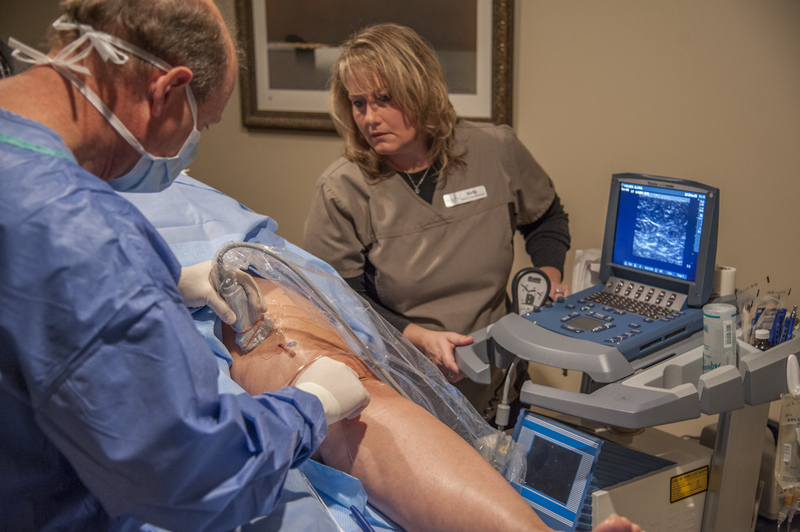 Although the word "ultrasound" probably doesn't create an association with your legs, with today's modern treatment of varicose veins, the ultrasound has become the supporting role in proper varicose vein care. In fact, the use of a Doppler Duplex Ultrasound has become so important that it has transitioned into the key diagnostic tool for receiving effective and efficient care in removing your varicose or spider veins. Varicose and spider veins are treated using a number of techniques and newly developed technology providing a safer more efficient treatment of your varicose and spider veins. A commonly performed procedure often performed in conjunction which deeper vein treatments like endovenous laser therapy (EVLT) is known as sclerotherapy. Sclerotherapy generally involves injecting the damaged surface veins on your legs, hand, face, or breast with a sclerosant or solution that essentially irritates the interior lining of the veins. The sclerosant hardens the the veins which then dissolve into the body. However, while this type of procedure is very common, there are differences in the effectiveness when treating your varicose or spider veins. 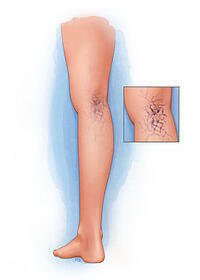 Telangiectasias, more commonly referred to as Spider Veins, are small blue and purple veins that appear near the surface of one's skin. 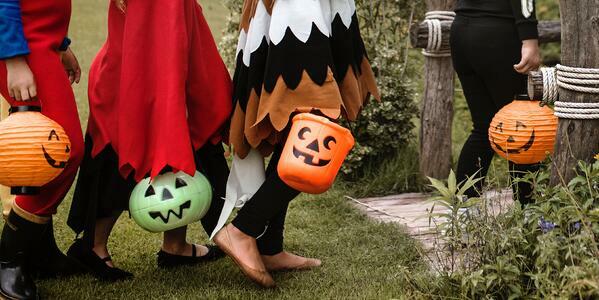 They generally appear on the face around the nose, and on the legs near or around the knee, upper thigh and ankles. Common causes of spider veins are family history, trauma due to sport related injuries, pregnancy and the release of hormones such as estrogen and progesterone, and prolonged periods of standing.